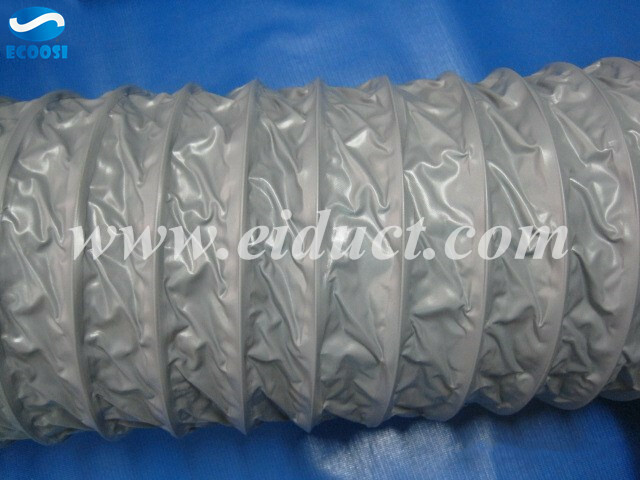 Ecoosi flexible ducting hose - PVC Flexible Duct is a flexible lightweight hose produced from durable coated polyester fabric. 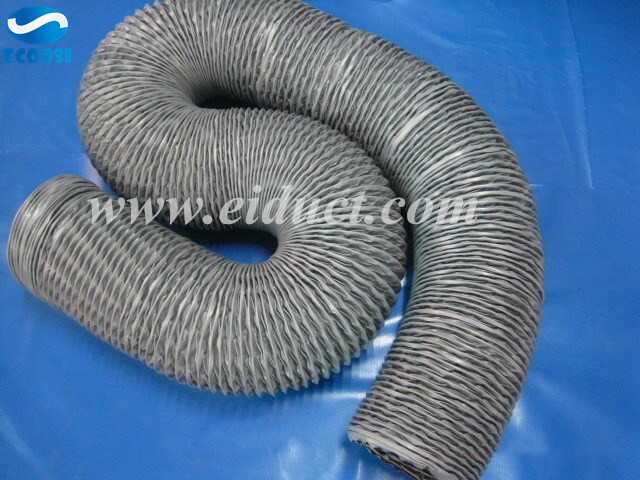 This PVC fabric flexible duct hose can be used in a variety of industrial air movement and blower applications. Each PVC fabric flexible duct hose has been reinforced with a spring steel wire helix for added strength and flexibility. 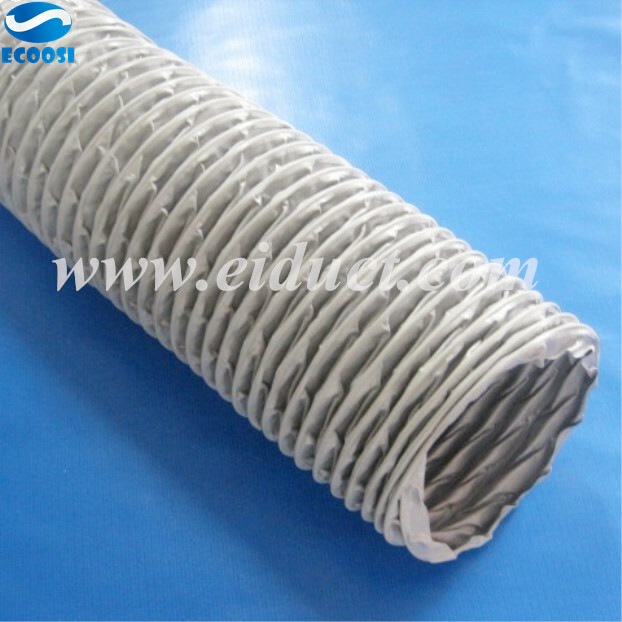 Ecoosi's PVC flexible duct hose is in 10 meters lengths, but its can be compressed down to as little as 1 meter. This advantages makes storage and transportation easier and more convenient. 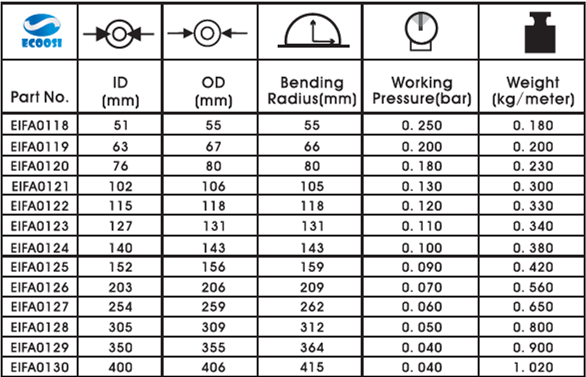 The PVC fabric air transfer hose is made in a wide range of internal diameter sizes from 51 mm to 400 mm. 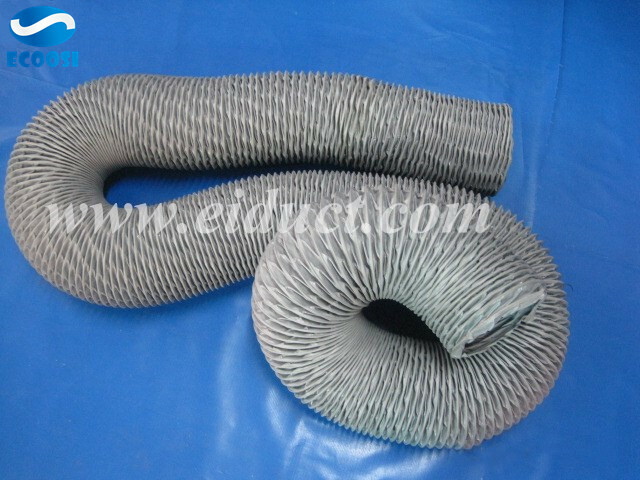 Ecoosi's PVC flexible duct hose is designed for volume air movement in indoor or outdoor applications. The PVC flexible duct lightweight hose is ideal for general air ventilation, mobile chillers, and light dust movement applications. 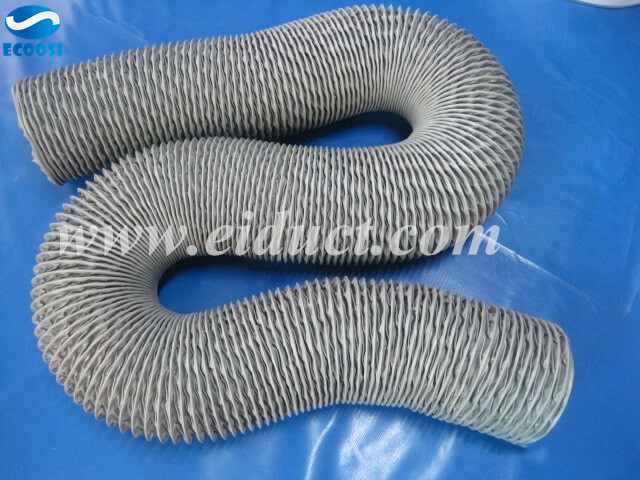 Its versatile flex ducting hose has a working temperature range from -20 to + 120 degrees Celsius.